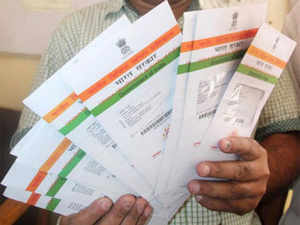 There has been an intense debate about the linking of Aadhaar with various artefacts like bank accounts, investment accounts and mobile numbers. Aadhaar-linking with ration cards, MNREGA, scholarships, LPG connections and other benefit delivery systems is already in place. Those opposing this linking cite privacy as their main argument. They assert that this will enable GoI to profile them and provide it with more information than what it should. Cleaning up of social benefit databases of duplicates and ghosts to reduce leakages was one reason to start the Unique Identification (ID) programme. The other was to provide inclusive and verifiable identification. The idea was that if unique IDs were created for people, this could be used to clean up other databases through ‘seeding’ of these unique IDs. The other ways to clean up these databases was to create an Aadhaar-like system at the back-end. The only way to ensure uniqueness with a very high degree of accuracy is to use technology. This would have meant duplication of an Aadhaar-like infrastructure and would have been expensive and unnecessary. So, the ‘seeding’ of Aadhaar numbers in these databases is the most efficient method. To associate any entry with a real person cannot be construed as violation of privacy. If you go to a bank to open an account and when they ask you to provide your Know Your Customer (KYC) details, you can’t claim this violates your privacy. Banks also must ensure they are providing service to a real person. Once every database is linked to Aadhaar, UIDAI, goes one argument, will know all your details such as bank accounts and stock holdings. The UIDAI can then, allegedly, stop any of your services if it wishes. First, when you link any database to Aadhaar, the entity maintaining that database merely authenticates with UIDAI regarding the accuracy of your Aadhaar. Once you provide your Aadhaar details to a bank, the bank conducts ademographic authentication with UIDAI to ensure this number belongs only to you, after sending your name and other details to UIDAI and getting a yes or no response. Your bank account details aren’t shared by your bank with UIDAI. UIDAI just authenticates and has no information relating to the purpose of authentication or details of transaction. So, the question of profiling or centralisation of information does not arise. The linking of the mobile is, however, a bit different. First, when you enrolled for Aadhaar, you may have given your mobile number and that number (or email ID or both) is retained with UIDAI to communicate with you through a one-time password (OTP). If you did not provide your mobile number and you link it subsequently, UIDAI keeps that mobile number on which you expect the OTP and information relating to your authentication transactions. Second, mobile-linking creates a situation where seeding of other documents becomes more robust. When you link your bank account, an OTP is sent by UIDAI to your mobile registered with your Aadhaar. Mobilelinking also sends a digital KYC to your telecom service provider to replace your KYC papers with the digital KYC (eKYC). This is digitising the telecom customer database. It also eliminates ghosts from the telecom subscriber database. Finally, there’s the issue of aggregation of information using your Aadhaar number. First, this would require the aggregating entity to have access to all the databases where you figure. If that entity has legitimate access, it can get the aggregated information using your name or mobile number, even without Aadhaar. But aggregation is done only of publicly available information. A Google search does not throw up your bank account details if these aren’t publicly available. But if you or any other entity proactively publish your bank account details, then this information will be caught by the search engines and will come up. So, linking your Aadhaar number doesn’t make things easier for any entity to get information about you than what it is now. UIDAI has introduced Virtual IDs for those who do not like to share their Aadhaar number for authentication or linking. Further, tokenisation will ensure that various entities don’t have access to your Aadhaar number while verifying your identity with UIDAI. Aadhaar-linking doesn’t violate privacy of individuals. So why some people oppose this move is quite unclear.